From the popularity of sushi burritos during the summer, to the proliferation of poké bars around the city in the fall, 2016 has been a fishy one for Toronto foodies (see what I did there?). Enter Calii Love, the newest poké stop in the city’s King West district, promoting Californian style with a Hawaiian twist. Given that I’m convinced I was Californian in a previous life, the name alone had me reeled in (yes, I could do this all night, folks). The bright, airy space, with its tropical motif and contemporary decor, emits a feel good, West Coast vibe. 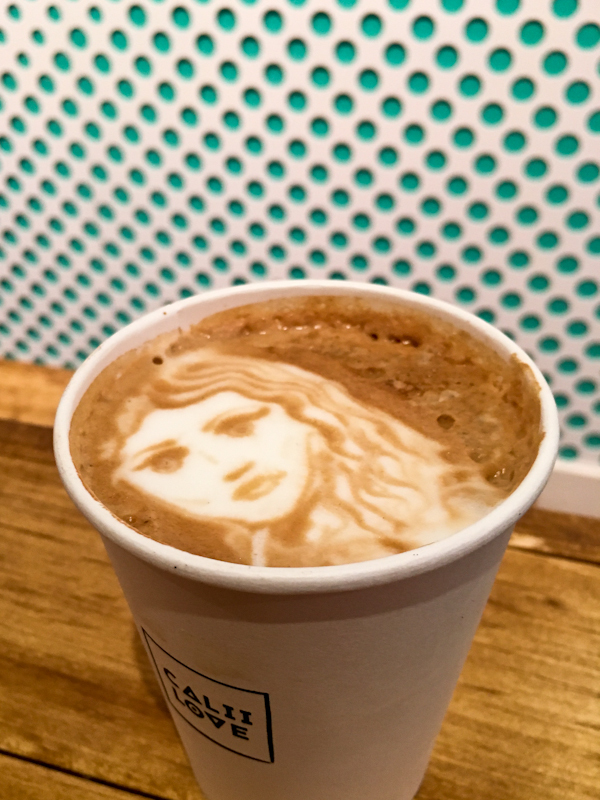 The emphasis is on organic, sustainable, vegan and gluten-free options. Grab-and-go, or take a seat and get to know your fellow diners at the communal table. 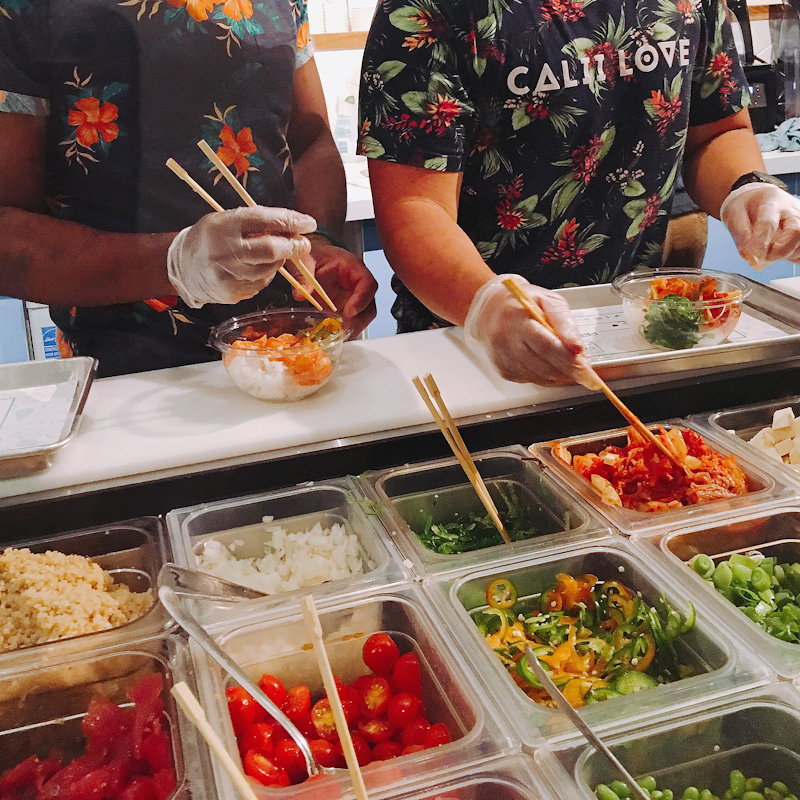 As I peruse the menu and approach the counter, I’m consumed by the burst of colourful and fresh ingredients and stealth-like preparation of smoothies and poké bowls. 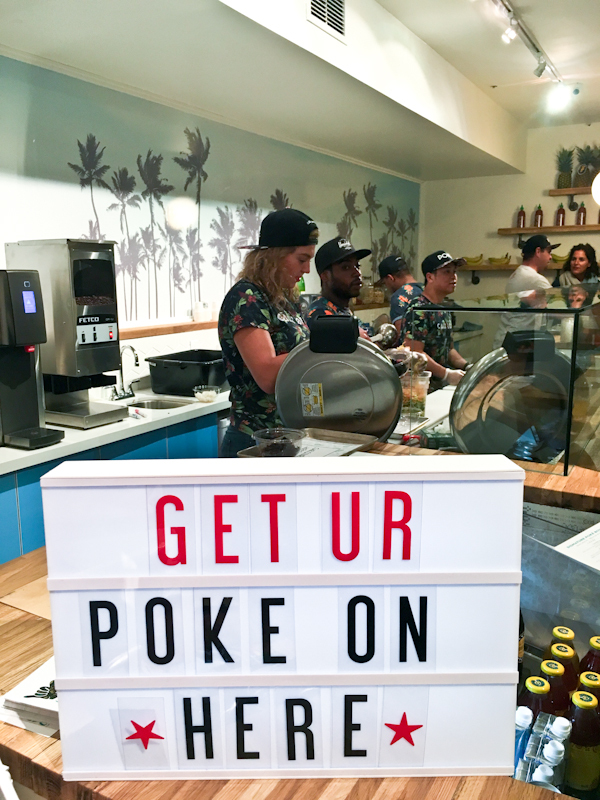 Pronounced “poh-keh”, this Hawaiian salad with seasoned raw fish has gained a cult-like status with health-conscious diners, popping up in chic neighbourhoods all over California…and now Toronto. 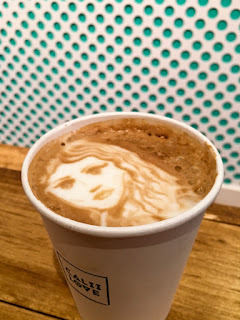 Each menu item is titled to reflect a feeling – Proud, Awakened, Confident, Grateful and so on – and today I’m feeling Happy and Adventurous – a notion that appeases both, my mental state of mind and my appetite. The Happy superfood smoothie is a beautiful blend of banana, raw cocoa, coconut milk, strawberry, dark chocolate and raw cocoa nibs…and that’s plenty reason to be happy. It’s a little bit chunky for my taste, but delicious in every form. 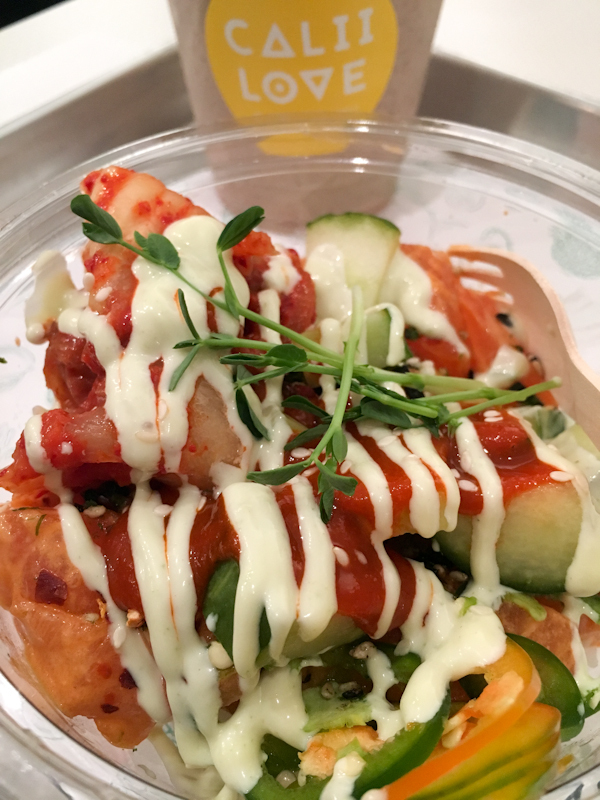 I pair my drink with an Adventurous poké bowl stacked with salmon, furikake, kimchee, sriracha, wasabi aioli, jalapenos, cucumber and white rice. This one packs in a spicy punch and I’m immediately happy with the countering effects of my cool smoothie (last pun, I promise). Calii Love received a lot of love during the Toronto International Film Festival (TIFF) with several A-list celebrities making a pit stop, including Joseph Gordon Levitt, Dakota Fanning, Jason Sudeikis, Anne Hathaway, Jane Lynch, Natalie Portman, and Gerard Butler, to name a few. Chef Joe Friday has worked in some of Hawaii’s finest kitchens, including Nobu Waikiki, and was eager to bring that authentic poké experience to Toronto. Our city thanks you, sir. The spot opens 7am daily, which is great news for those early downtown risers looking to grab a healthy acai bowl, smoothie or direct trade coffee before heading to work. 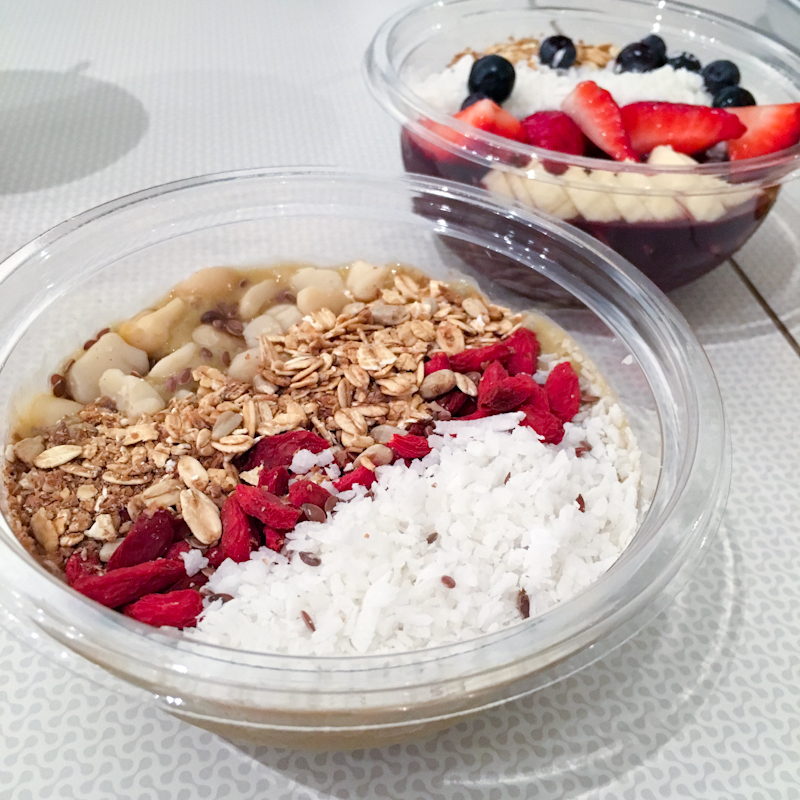 Poké bowls are only available after 11am. Disclaimer: The above meal was complimentary.